The Canada Reads 2018 finalist discusses the inspiration behind her dystopian novel The Marrow Thieves. 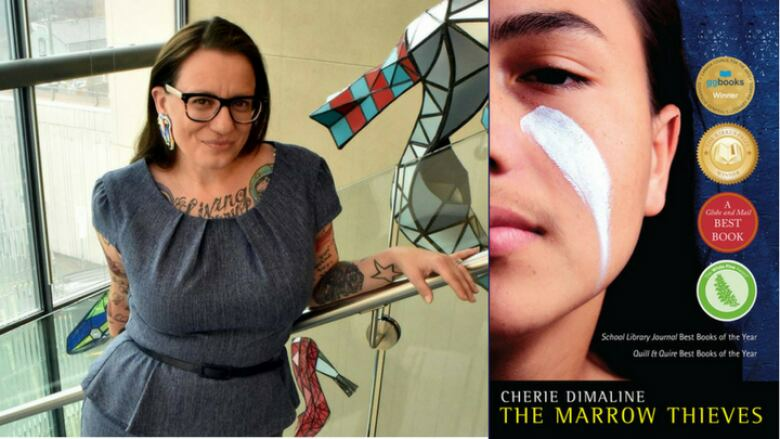 Cherie Dimaline's new dystopian novel The Marrow Thieves is set in a ravaged future world where most people have lost the ability to dream, but Indigenous people still carry dreams in the very marrow of their bones. They are being hunted, harvested and held captive in institutions that are a sinister new iteration of residential schools. The Marrow Thieves won the Governor General's Literary Award for children's literature — text and the prestigious American Kirkus Prize. The novel is currently a finalist for Canada Reads 2018, where it will be defended by singer-songwriter Jully Black during the debates. Shelagh Rogers spoke to Dimaline in October 2017, when the book was first released. "I wanted to talk about our stories, in particular what happens to communities through residential schools. I think there is a light through the bleakness in this dystopia, the fact that our community still exists. There were two things that I wanted to play up by putting it in the future: I wanted Indigenous youth to see themselves in the future, I wanted to put aside, even just for a moment, that sense of defensiveness or the tendency to shutdown that can come with talking about a difficult history. I wanted people to come away saying, 'I would never let that happen,' or more correctly, 'I would never let that happen again.'" "I did some research and saw the NASA projections, what the landscape would be. The reality was even more terrifying than the Mad Max dystopia I had come up with in my head. The oceans would rise, parts of the world would be submerged or crumble off. A huge part of the population would become homeless in cities like New York and large parts of India would no longer exist and there would be a lot of rain. That actually made more sense for this story. That allowed me to reimagine this great migration of people coming into different parts of the country because we know from experience, when the dominant society needs space, the first place they go to are these so-called uninhabited traditional territories. So bringing in that wave of newcomers added a layer of nuance to the story." "I looked into studies about dreams to understand the impacts of not being able to dream and what happens when people don't sleep properly. Research shows that if you don't reach that deep sleep that allows you to have dreams, there are impacts on your mental wellness. Dreaming is incredibly important to humans and I felt bad taking it away from them in this future world, but I thought it was the perfect correlation for having lost the ability to control our existence."